I have given you the source code for some basic HTML i have written but have not specified how to make them, in the sense, where to type them and how to save them and how to open them. 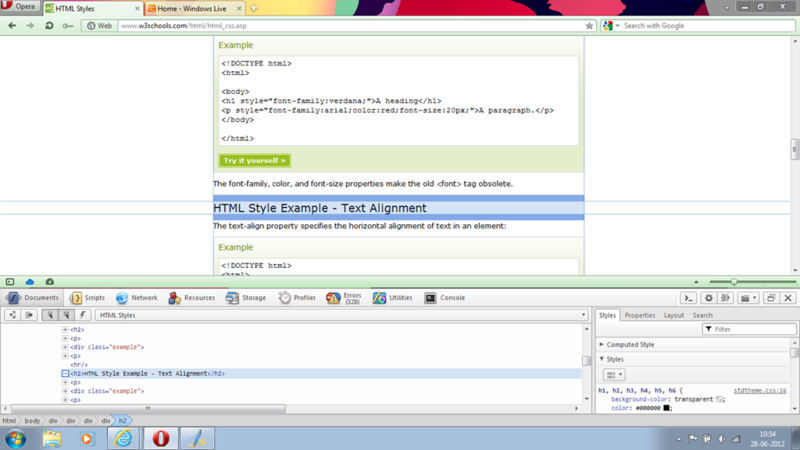 So for HTML you do not need any sort of compiler that you need for stuff like C, C++ or Java for that matter. That is just save it with a ‘.html’ filetype. For linux users, you can use Gedit. or Kedit, which ever you have. People usually go for high-end softwares for making webpages. Softwares such as Adobe Dreamweaver. But for learners it is recommended that only notepad be used. Reason for this is, when you learn, you need to learn the real thing. High-end softwares can do a lot of work for you and they do correct mistakes themselves if you will. So that pulls you back on your road to learn HTML properly. P.S: If you want something a little more powerful than notepad on windows i suggest you download notepad++. Its opensource so you can download it for free on the internet. Search Google. I assume that most linux users will be satisfied with G-edit or K-edit. Comments and doubts are welcome. This is a Simple web page created using forms made mainly for you to copy and paste it and play around with the tags so that you can learn a bit more about HTML. Be bold to delete, edit and replace stuff in this code. Thats the way to go. This is a form to take info about people participating in an interview. This could be used as an online registration form or anything you want it to be called. Here’s the code for a simple web page i created to start off with. Though this is really really basic and when i say really its REALLY basic. This would help in understanding what each tag does. Take a trip around w3schools.com HTML tutorial and come back here and you can play around with the tags and see what each one does. You’re in for a real treat…. Take a look at our exquisite menu..
Post your doubts. Will answer them if i can. As soon as possible. Thank You. Learning HTML would be the easiest thing i guess. Log on to w3schools.com and you will have everything you need to get going. In about one hour or so. You will have learnt enough to make your own website. The site also allows you to test out the things that you have learnt side by side, with some workspaces. This would be one way to go about it. This is how i first learnt it few years back and i’m going through it again. So anyways. There are plenty of good books out there which you can use to learn too. A particular one that I am using now as a reference is this book called “Head First – HTML (with CSS & XHTML) written by Elisabeth and Eric Freeman, published by O’Reilly Publishers. This would be a good read if you want to take a dive into HTML. It will get you starting in no time and to add more. The book is awesome. You can read it as though you were reading a story book but really you would be learning a lot too.